The new 3-chip 4K Sony XDCAM cameras. 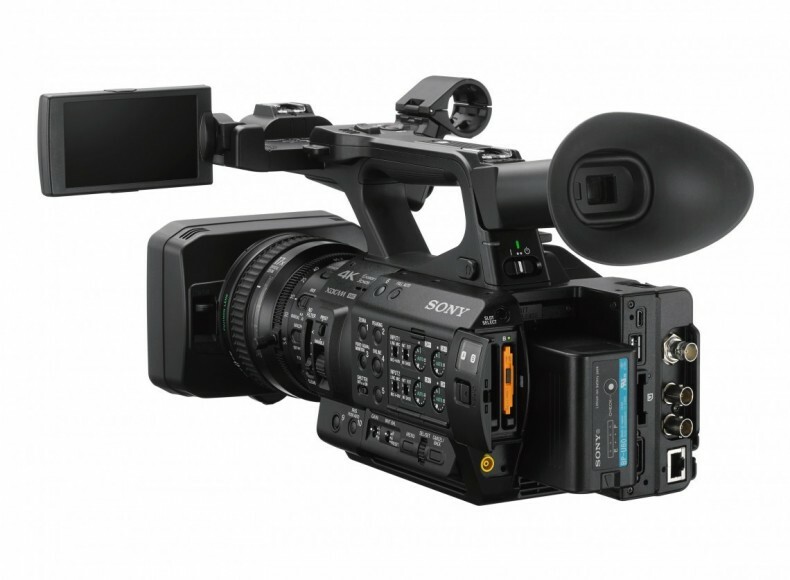 Sony adds to XDCAM product lines with two new 4K 3-chip camcorders with integral zoom lenses: the Z280 with 1/2-type sensors and the handheld Z190 with 1/3 sensors. Sony has released two new camcorders in the XDCAM line-up. With HDR and wireless connectivity, the cameras lend themselves to a wide range of applications including ENG, documentary and event production. 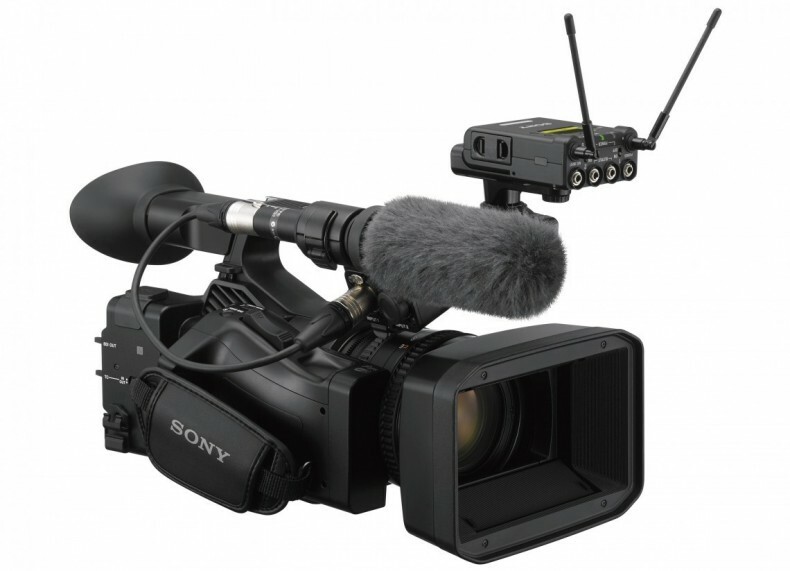 The Sony Z280 is fully-featured for newsgathering. The Z280 has 4K 50p/60p, 4:2:2 10-bit, HDR capabilities, integral ×17 zoom with three-ring control for independent zoom, focus and iris, and supports direct-to-air broadcasting with advanced network features for secure, seamless ENG workflows. Based around 3 1/2-type Exmor R CMOS sensors, the camera has a sensitivuty of f12 at 60P. It supports a range of formats including XAVC Intra/Long, MPEG HD422, MPEG HD and DVCAM are available to support established workflows. PXW-Z280 also has various interfaces to fulfill the need of professional users. SxS card and SD card with optional adapter can be used as recording media, providing more choice for users. 12G-SDI function enables 4K 50p / 60p transfer using a single BNC cable. The camera also supports S-Log3, and Sony’s Instant HDR workflow, which eliminates the need for color grading. The Z280 is planned to be available from July 2018. The Sony Z190 has two MI hots shoes for flexible audio configurations. The new model incorporates a 25x optical zoom lens to cover a wide focal range for multiple shooting requirements, with three independent lens rings to support intuitive operation. The PXW-Z190 covers a wide range of main formats including XAVC-Long, DVCAM. In addition to these formats, MPEG HD 422 and MPEG HD are available with an optional license. Proxy 1080i up to 9Mbps can be used for 4K and HD simultaneous recording. The camera records to widely available SD memory cards, with dual card slots allowing simultaneous, relay and back-up recording. Both cameras have the facility for “Face Priority AF” - convenient for shooting the scene including human objects - as well as the newly introduced “Face Only AF”. This feature is important especially in more demanding 4K shooting applications such as recording interviews or lectures, where a specific person will automatically stay in pin-sharp focus when applied together with registration function of the face. Sony’s Electronic Variable ND filter allows greater exposure control by varying the density of the ND filter during shooting while maintaining resolution and depth of the field. Both cameras have dual MI shoes provide cable-less connection with Sony’s UWP-D series wireless microphone receiver and use of a video light simultaneously.